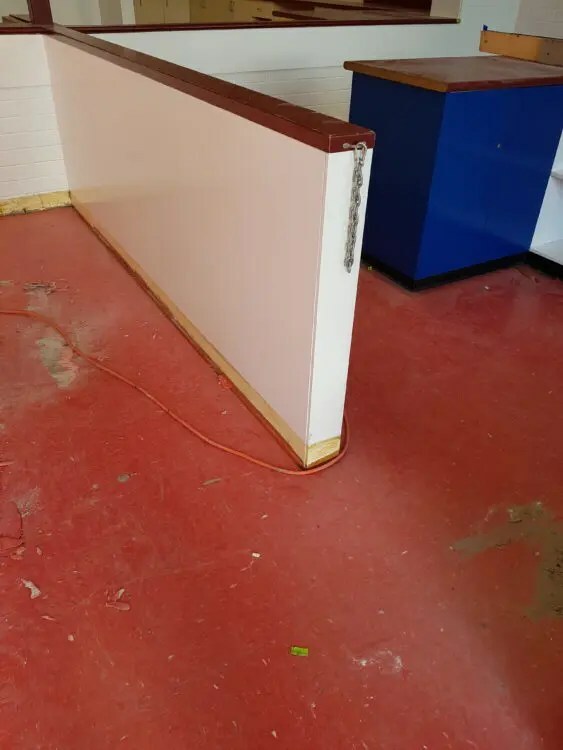 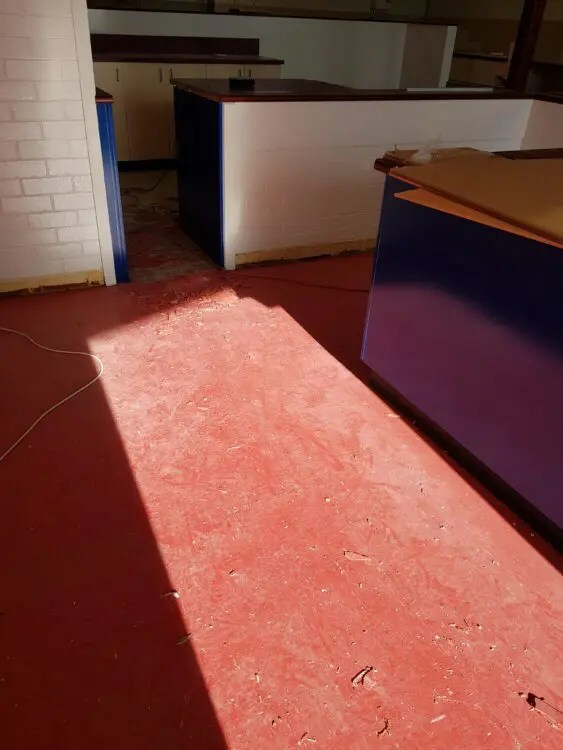 This project was a canteen at a school with about 8,000 students. 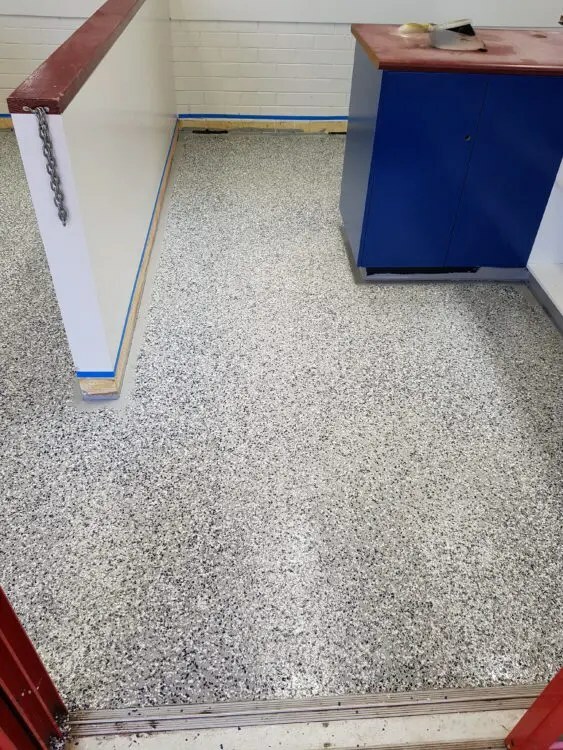 The floor had an old vinyl tile floor covering. 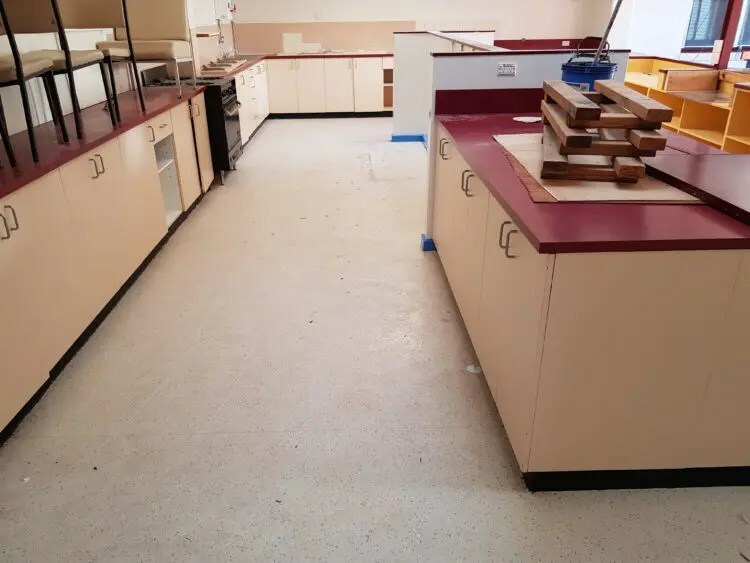 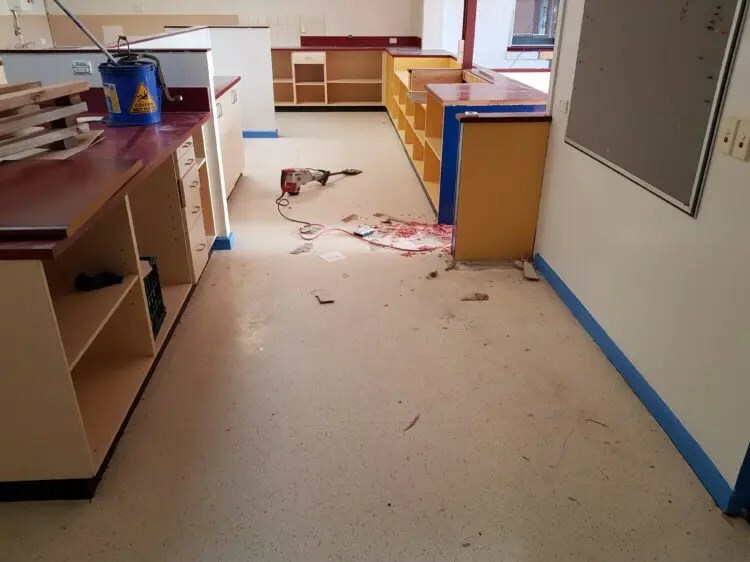 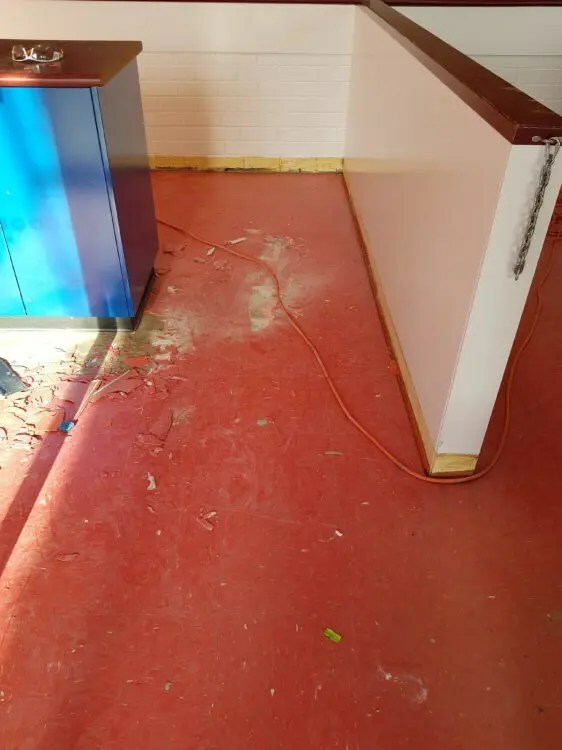 We removed the existing vinyl tiles and used concrete grinding machines to grind off the vinyl floor adhesive. 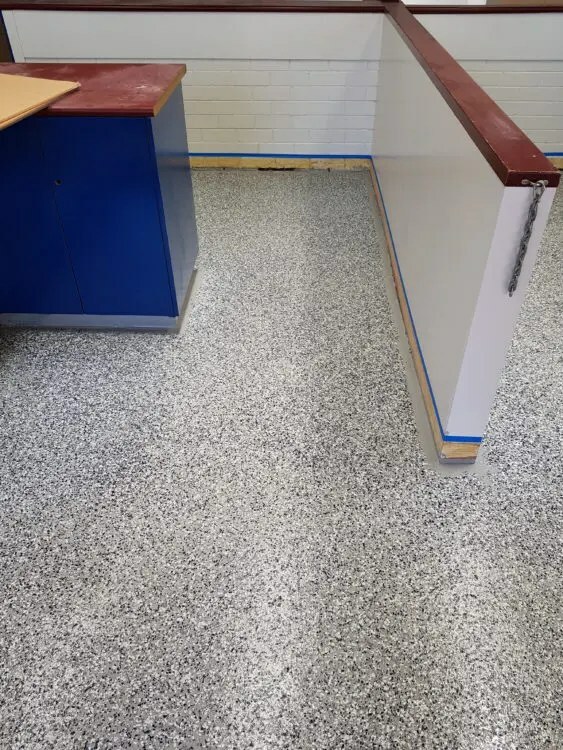 Once we had a clean bare concrete surface we applied an epoxy vinyl flake surface. 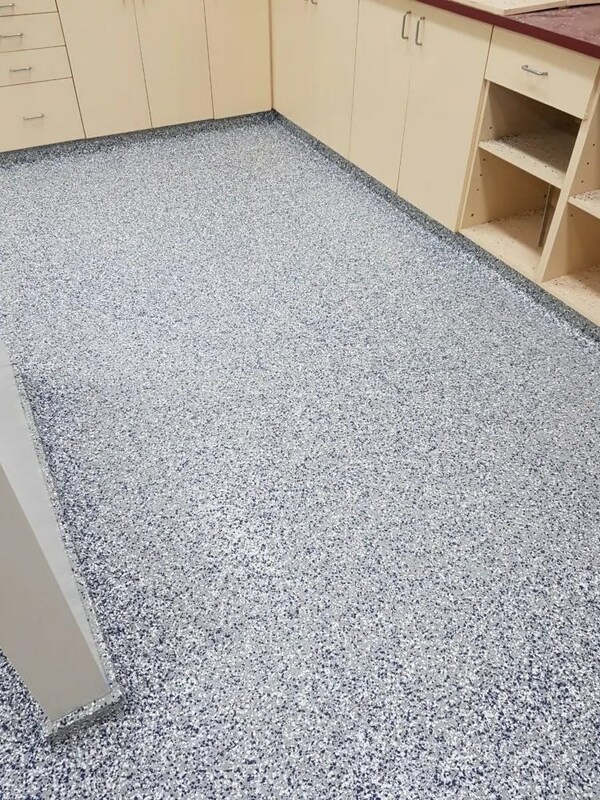 This surface is non-slip and creates a beautiful texture on the floor.